Memphis, TN – The latest t-shirt from COMP Cams® is designed for the stylish but budget-conscious racer or enthusiast and recognizes the automotive legacy celebrated throughout the country. Available for just $10, this new COMP Cams® t-shirt looks great at the track, in the shop or at the show. 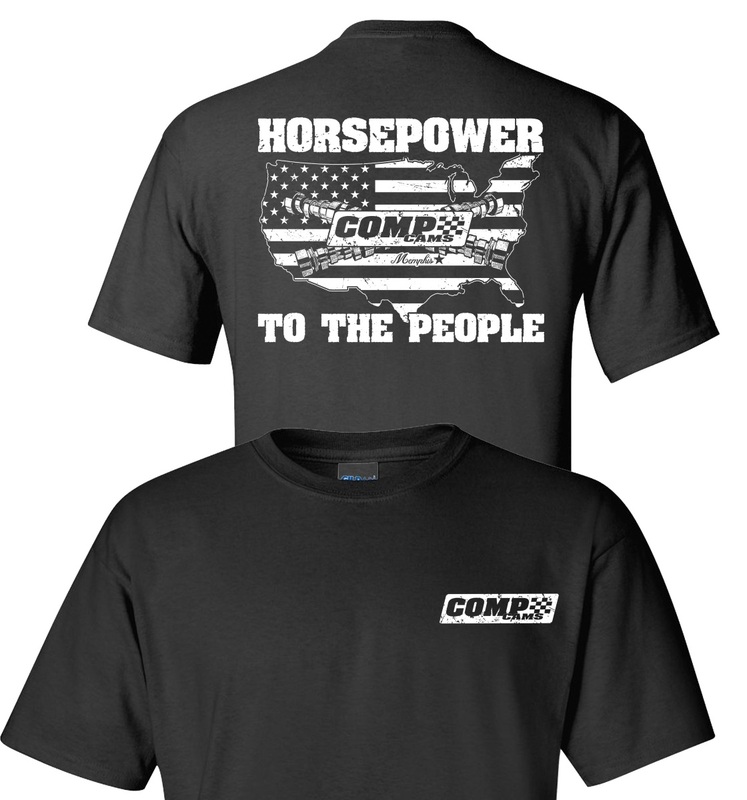 The black design features a distressed COMP® logo on the left front chest, while the back displays the phrase “Horsepower To The People” surrounding the iconic COMP Cams® emblem, along with the American flag in the shape of the United States. Screenprinted on a Gildan 100% Heavy Cotton t-shirt, its black color will easily hide dirt and grease. Available in sizes Small through 3X, it is available online, at the COMP® trailer at events across the country, or at the company’s world headquarters in Memphis.